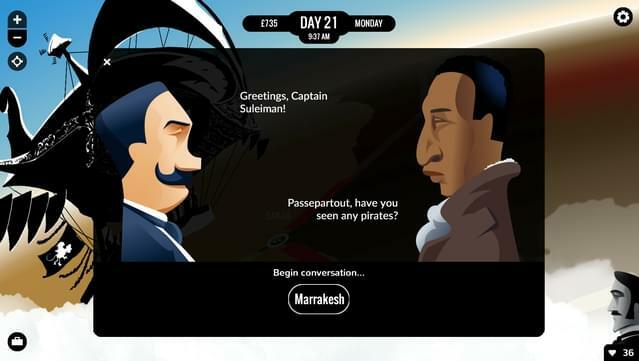 London, 1872. 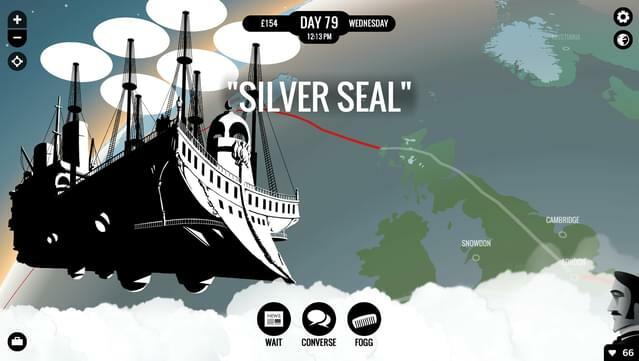 Phileas Fogg has wagered he can circumnavigate the world in just eighty days. 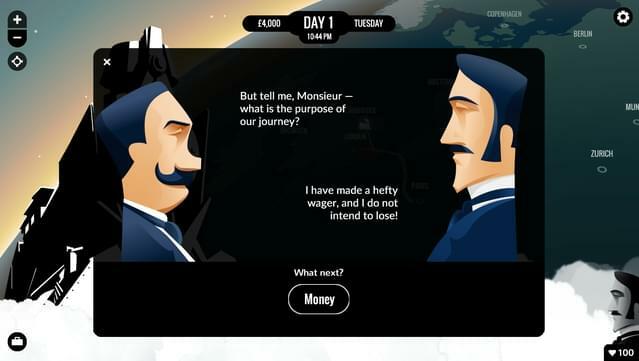 Playing as his trusty valet Passepartout, travel by hot-air balloon, mechanical camel and other methods as you attempt to complete the bet through over a hundred cities. 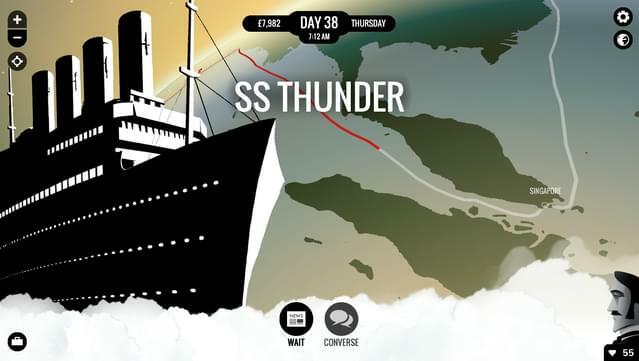 This is a journey sure to be packed with stories of revolution, intrigue, romance and adventure. 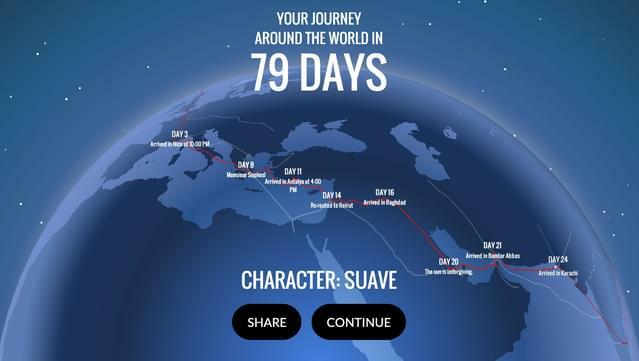 Choose your own route around the world - climb the Burmese mountains, brave the Siberian tundra, trek the Zulu Federation, sail the Amazon and disappear under the Indian Ocean - just don't fall behind the time! 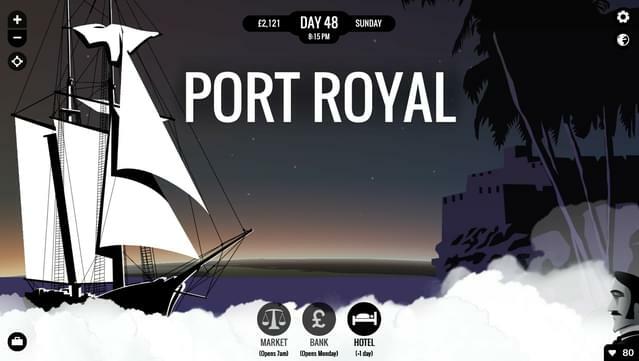 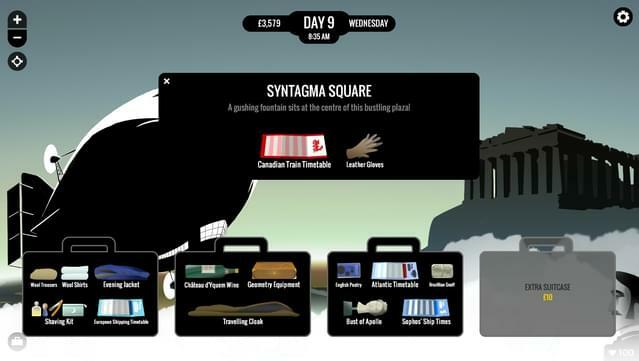 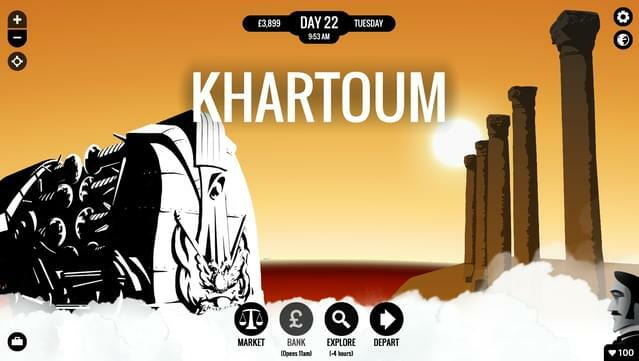 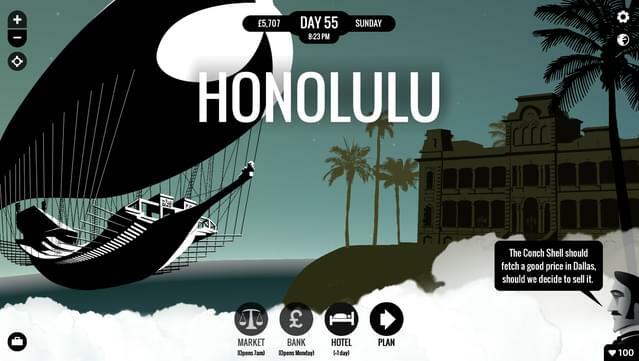 TIME Magazine's Game of 2014, IGF winner, and four-times BAFTA nominee, 80 DAYS blends sharp visuals, strategy and cutting-edge interactive fiction to take you on a different globe-trotting adventure every time you play. 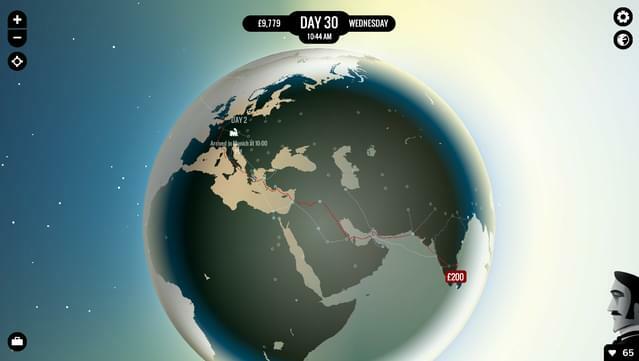 Travel the world any way you want. 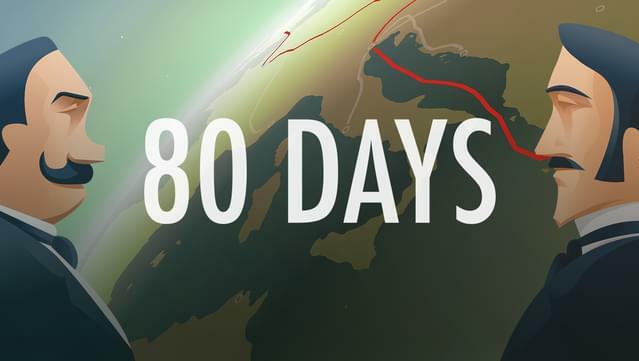 Explore 170 cities. 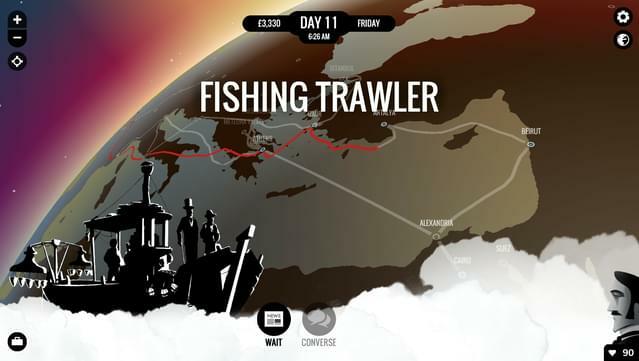 Tens of thousands of choices define a unique adventure every time you play. 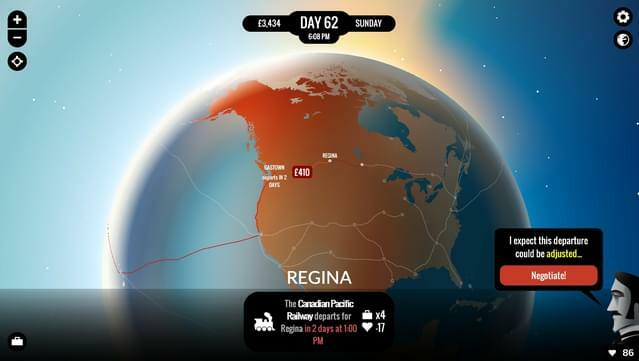 Race other players in real-time. 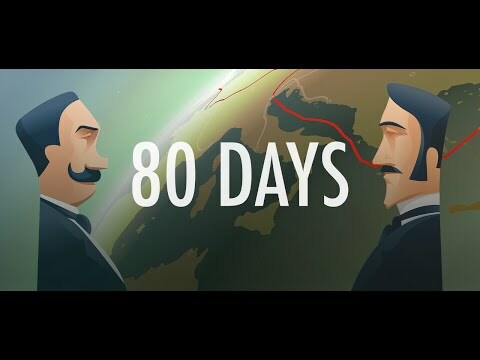 Can you make it in 80 DAYS?